I got this game because I saw a good review. It’s nice, but... there’s just 10 caps and more 2 bonus and if I want more 8 I have to pay $2 plus. I finished it in 40min and no more fun. WHAT? I thought I was going to spend days playing it. The game should be bigger, at least 30 caps for this price. Buy it if you have kids or will share with you family. I’ve been looking for a beautiful and fun, easy to pick up puzzle game for years. I’ve found a few that were close, but this game ticks all the boxes for me. I love the simplicity of gameplay, the beautiful music and colors, and attention to detail. Thanks for making a game that I’m sure to enjoy for years to come! Do *not* get this game. You only get 10 levels or “chapters” and i finished it in less than 2 hours. Do not waste your money on this, instead buy McDonald’s. 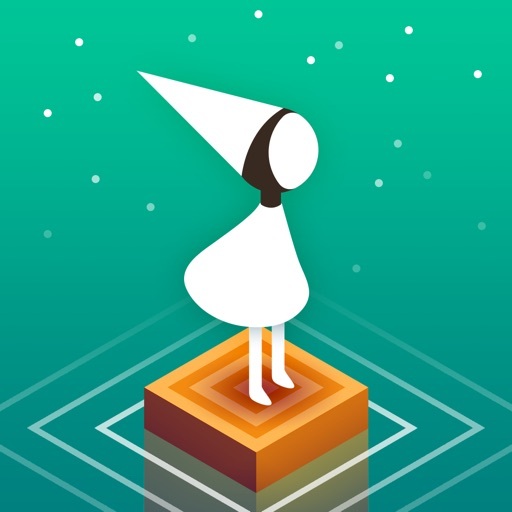 5 stars good game love the idea of the game so I would make a monument valley 2!!! Beautiful but short and simple. I really enjoyed playing Monument Valley. The storyline was silly but I didn’t really pay much attention to it. I liked the puzzles. So, when it was time to buy Monument Valley 2, I spent the bucks. So disappointing. Puzzles were not very challenging. Don’t get the second one. If there’s a monument valley three, I hope I get it for free since I’ve already spent too much money. The sounds are interesting and the visualizations are amazing. This is really a well thought out logic game. My two kids, ages 3 and 7 love both of them. I hope they make a third. This game really holds their interest. This game is very imaginative and inspiring. 10 out of 10. I’m not prone to write reviews, but the two monument valley games are absurdly short. The design is beautiful but you’re out of gameplay in like 30 minutes. A free game like Mekorama gave more gameplay with more complexity. I had just a couple puzzles in monument that I had to really think about to solve, and the rest was just obvious. I would suggest you look elsewhere for a puzzle game.